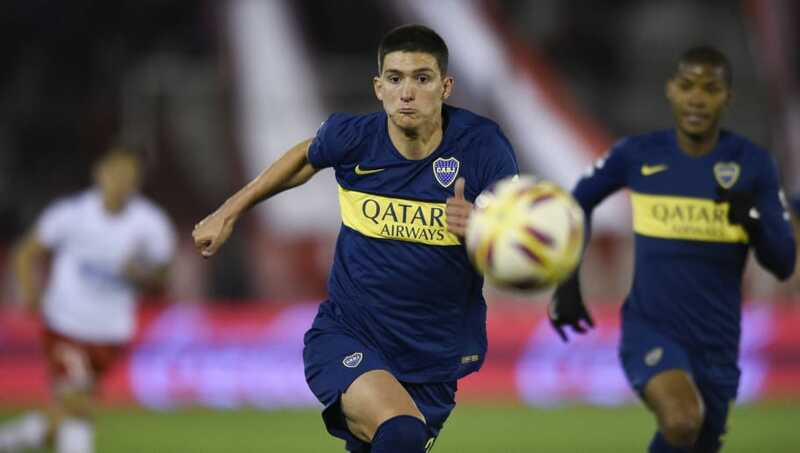 Borussia Dortmund are close to finalising a deal to sign Boca Juniors defender Leonardo Balerdi this month, according to reports from Germany. With Switzerland international Manuel Akanji suffering from a seemingly serious hip injury, Dortmund have been on the look out for a central defender to provide cover for the second half of the season. Sport Bild report that the Bundesliga side have reached an agreement with their Argentine counterparts to sign the highly-rated centre-back for a fee in the region of €16m. The 19-year-old is expected to sign a contract with ​Dortmund until the summer of 2023, and will arrive in Germany at the beginning of next week to complete a medical. The club's chief scout Markus Pilawa was reportedly in liaison with representatives in South America to clarify all the final details and formalities between the two sides. The report further adds that rumours of a potential €8.6m release clause in Balerdi's contract were untrue, with Dortmund happy to meet the Argentine side's asking price of €16m. After confirmation of Akanji's injury, Dortmund's CEO Hans-Joachim Watzke said: "It is conceivable that we still do something in the defensive area." Despite featuring in just five league games for Boca this season, Balerdi was reportedly of interest to European giants ​Barcelona and Juventus last summer, although a move to either side failed to materialise. With Akanji ruled out for the foreseeable future, Dortmund have moved quick to bring added cover to their injury-hit backline.